The Push Notifications service allows you to send native push notifications to different mobile operating systems. Code once and push notifications to iOS and Android. Push notifications to defined groups. Push notifications to either iOS only or Android only. Push notifications to different variants of a mobile app. Push notifications from different back-end apps to the same mobile app. The Push Notifications service offers a unified Notification Service API to the above mentioned Push Network Services. It can be seen as a broker that distributes push messages to different 3rd party Push Networks. The payload of the push notification is delivered to 3rd party Push Network providers, Google or Apple. AeroGear recommends that users do not send any sensitive personal or confidential information (for example, a social security number, financial account or transactional information) as part of any Push Notification. Users of push notifications should not have an expectation of secure transmission. For analytic purposes, the service stores the content of the alert key sent to the UnifiedPush Server. The content of the alert key belongs to the metadata, which is deleted after 30 days, using a nightly job within the UnifiedPush Server. You are only able to send push notifications to a real device, sending push notifications to an emulator fails. Push is a signalling mechanism and is not suitable to be used as a data carrying system, for example, a chat application. 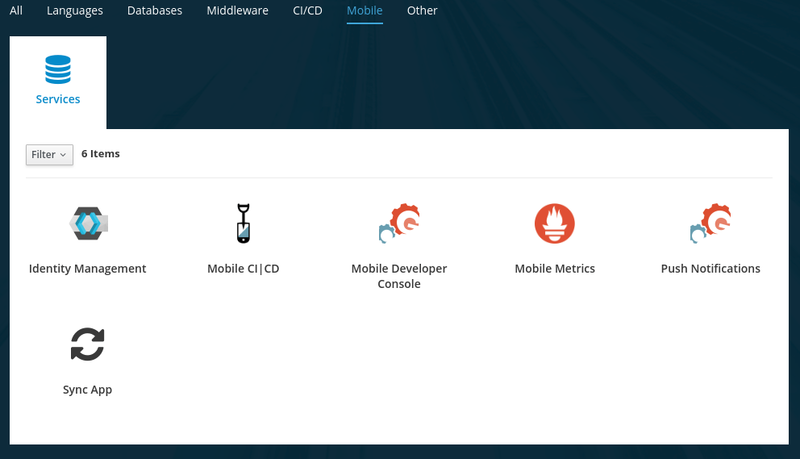 You have logged into the OpenShift console and the Mobile Developer Console. You are developing an Ionic app, plain Cordova is not supported. This section describes terminology that is associated with Push Notifications. A logical construct that represents an Mobile App, for example, Mobile HR. A simple message to be sent to a Push Application. A RESTful API that receives Push Notification Message requests for a PushApplication or some of its different Variants. The Server translates this request into the platform specific details and delivers the payload to the 3rd party cloud providers, which eventually might deliver the message to the physical device. A variant of the Push Application, representing a specific mobile platform, like iOS or Android, or even more fine-grained differentiation like iPad or iPhone. There can be multiple variants for a single Push Application (for example, Mobile HR Android, Mobile HR iPad, Mobile HR iOS free or _Mobile HR iOS premium). Each supported variant type contains some platform specific properties, such as a Google API key (Android) or passphrase and certificate (Apple). Represents an actual device, registered with the UnifiedPush Server. User1 running HR Android app, while User2 runs HR iPhone premium on his phone. (AUI) The Unified Push Admin UI Web UI that allows you manage Push Applications and Variants, view statistics and send Push Notifications to devices. This procedure describes how to obtain Firebase Cloud Messaging Credentials. google-services.json file containing the credentials required to connect your app to Firebase and Google services. From the Project Settings screen, switch to the Cloud Messaging tab, where you can find the Server key and Sender ID (known in GCM as Project Number). There is also a Legacy server key but it should not be used for new projects. Download the google-services.json file as described in the Google Documentation. This procedure describes how to enable Push Notifications for your iOS application and get the credentials required for push from Apple. Follow the official Apple guide to enable push notifications for your Xcode project. Follow the official Apple guide to generate an APNs client TLS certificate and export the client TLS identity from your Mac. The exported p12 file with the password will be used later when binding your Mobile App to the Push Notifications. This section describes how to set up the Push Notifications Mobile Service. Click Services and choose the service. You have created a Mobile App. Access to the Firebase console. Refer to Firebase Docs. APNs client TLS certificate. Refer to official Apple guide. Log in to the Mobile Developer Console. Click on the Mobile App on the Overview screen. Press Bind to App in the . Fill out the binding parameters required by the Service. When you bind a mobile client to the Push Notifications service, a variant is created to store the credentials required to communicate with a push network. Those credentials need to be provided in the binding dialog. Select Android from in the Mobile Client Type list. Enter a Server Key and a Sender ID. Both are present in the Firebase console. Select iOS from the Mobile Client Type list. Obtain an APNs client TLS certificate. Refer to official Apple guide. Encode the certificate using base64 and paste the encoded certificate into the field labeled iOS .p12 file. 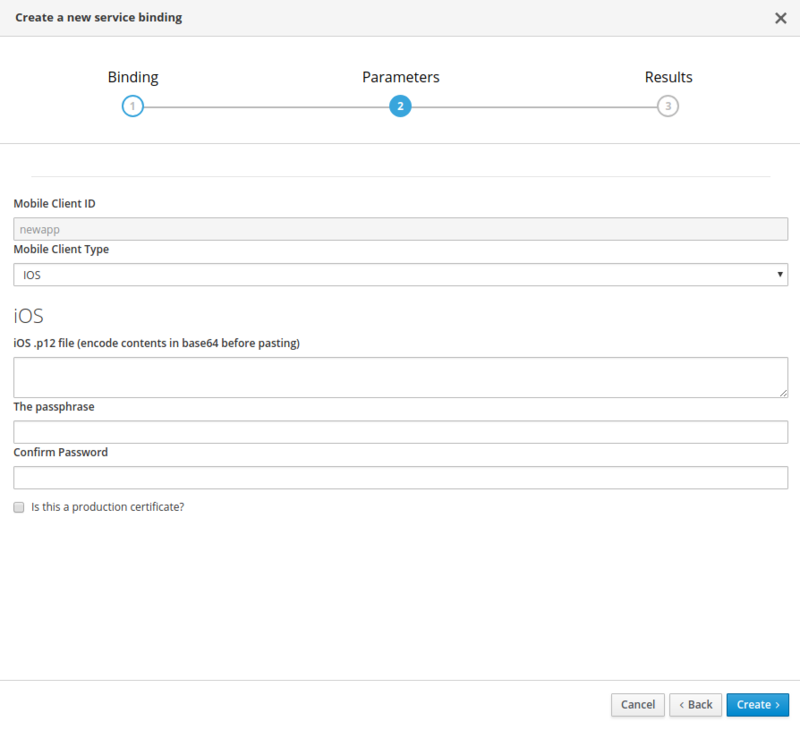 After clicking Create your variant will be created in UPS and you should see a new binding for your mobile client. A variant is used for the storage of the credentials provided in the Binding procedure. The mobile-services.json file provides the information for your mobile app to communicate with services. After you change any configuration in the Mobile Developer Console, it is important to update that file in your IDE. 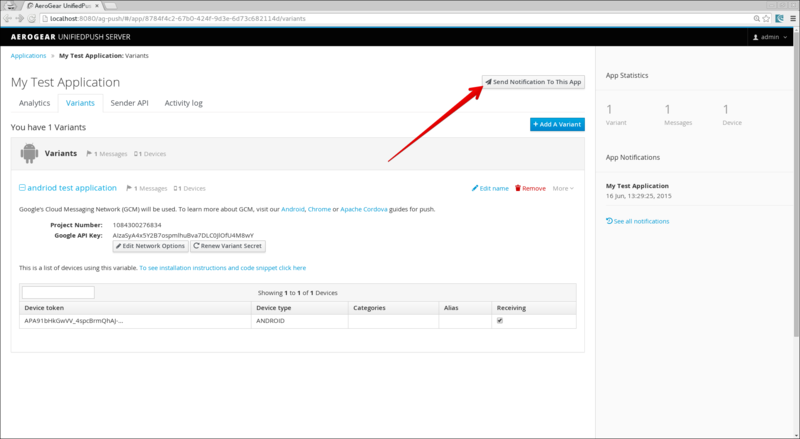 The configuration of your Mobile App in Mobile Developer Console is up-to-date. You have set up your mobile app development environment. <app directory>/mobile-services.json NOTE: Ensure that mobile-services.json is a member of the project in the Xcode Project Navigator. This section helps you to set up the Push Notifications service SDK in your App. It describes how to set up and initialize the Push Notifications service SDK. Your local mobile-services.json file is up-to-date. To use the Push Notifications service, devices must be registered. This registration is performed by calling an endpoint of the server. The Unified Push Admin UI allows you to send Push Notifications. Make sure the Push Notifications service is provisioned. 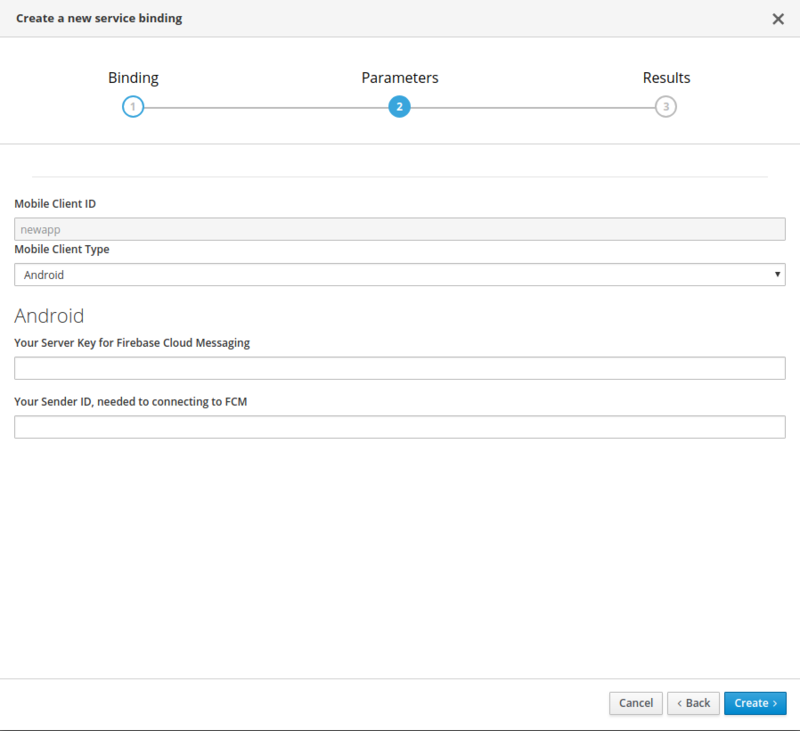 Select a route in OpenShift. Login with your OpenShift credentials. 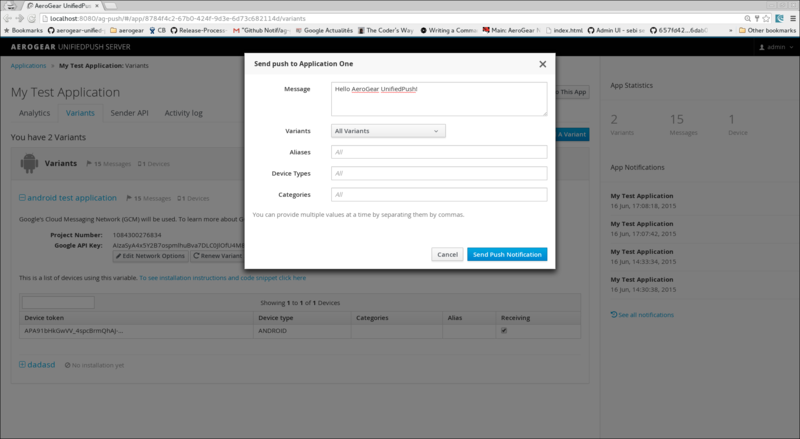 On first login you need to provide the OpenShift OAuth service permissions to read your user account. 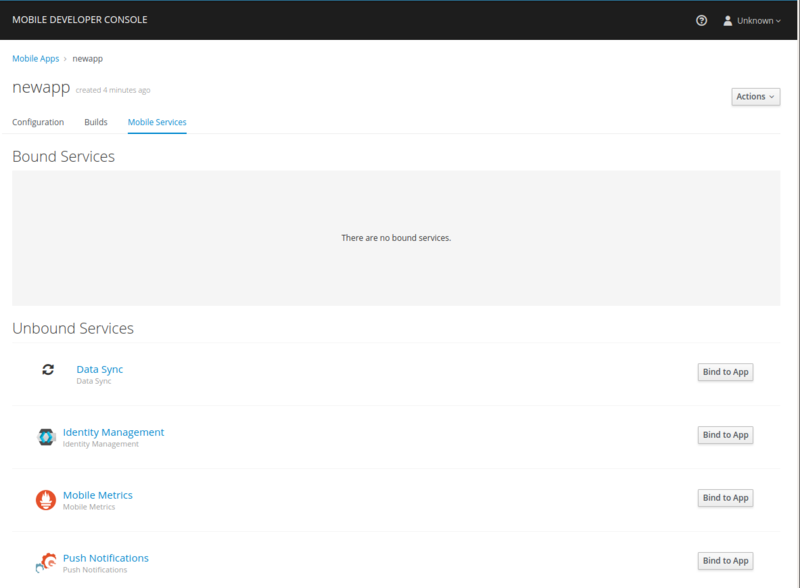 Open the Unified Push Admin UI in a browser. Select the target application from the home page and click Send Notification To This App. When the Send Push dialog displays, enter text in the Message form. Click Send Push Notification to send the message to the target application. The 3rd party Push Network is responsible for delivering the Push Notification to the target application. To access Push Notifications using the RESTful endpoints, see the API documentation. This section describes how to handle incoming push notifications in your foregrounded application. Push notifications that arrive when the application is in the background are always handled by the OS. Add it to your application’s manifest. 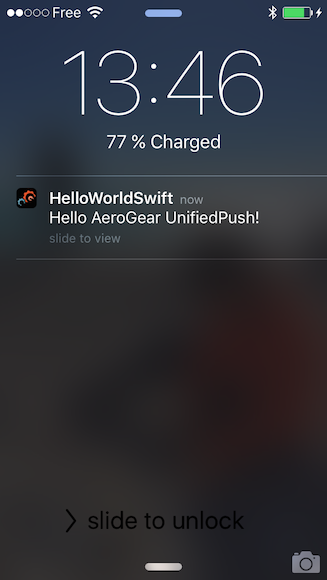 The AeroGear SDK for iOS does not provide a way to handle incoming messages. Instead, follow the Apple’s official documentation about notifications. You can only develop push applications using Ionic. Plain Cordova is not supported. Review the documentation at Ionic Push plugin for details about using the plugin.